I have previously posted a recipe, Vegan No-bake Biscoff Cheesecake which went down an absolute storm. 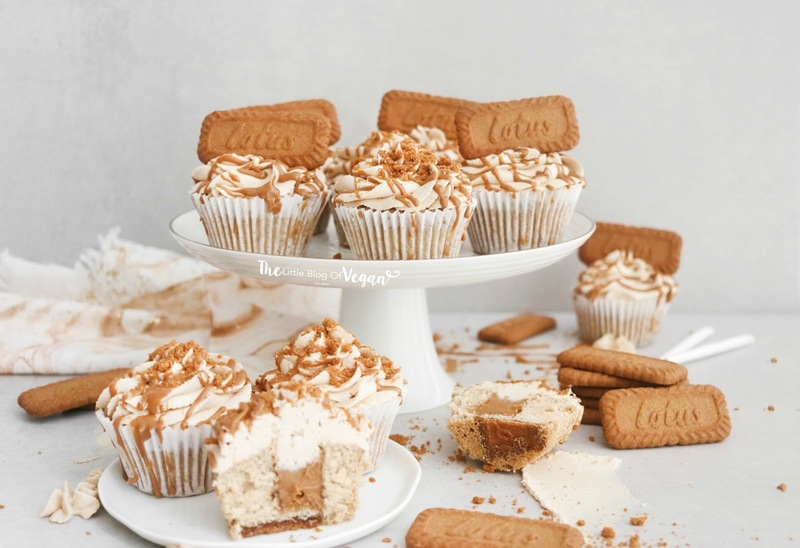 I had SO many requests for a Biscoff cupcake and I don't like to disappoint, so here it is... delicious vegan Biscoff cupcakes- yay! 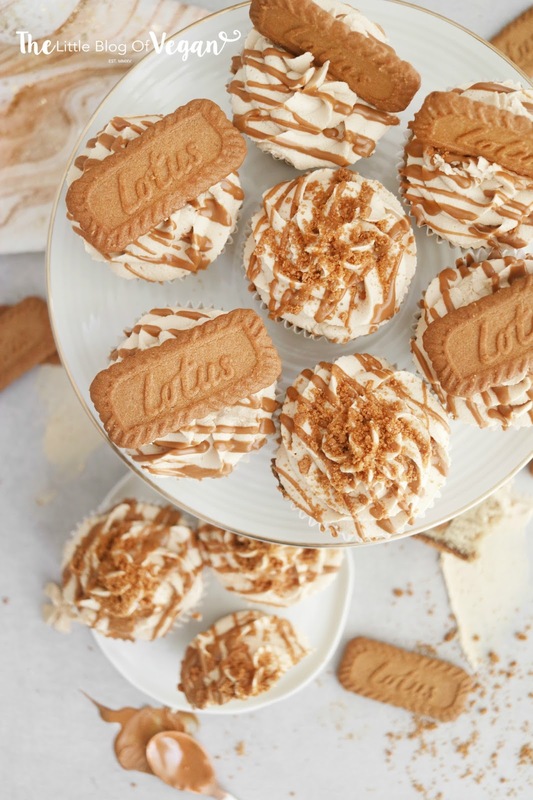 An overload of Lotus Biscoff! 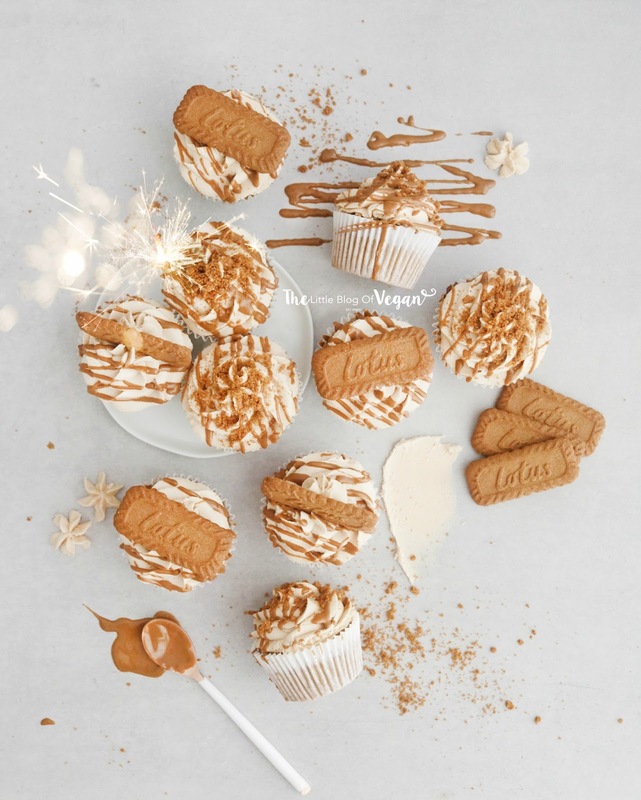 Vanilla cupcakes with cookies in the batter, a core of Biscoff spread, light Biscoff buttercream, topped with a drizzle of melted Biscoff spread, Biscoff cookie crumbles, cookies and a speckle of edible gold dust. Wow, that was a mouthful to type- haha! These cakes are seriously good, they disappeared in no time at all! They went down a hit with my family & friends! 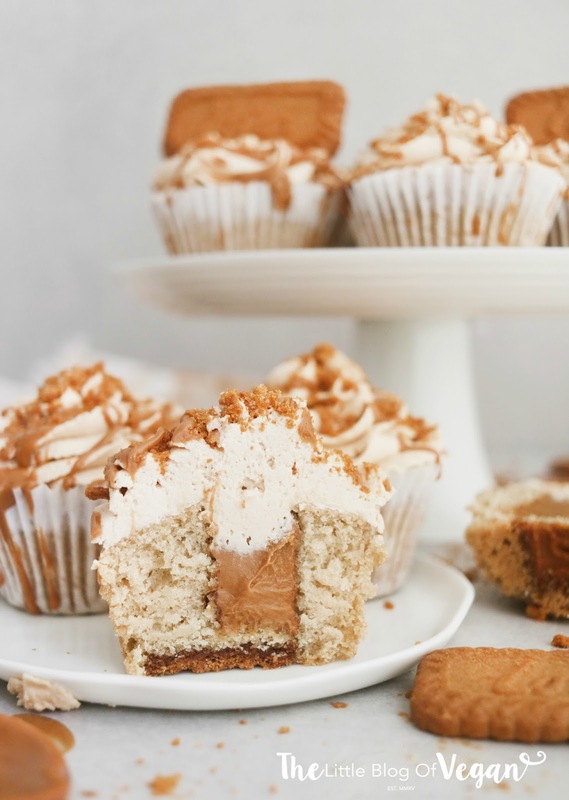 These quick & easy cupcakes are devilishly delicious and would be perfect for cookie & cake lovers (like myself) and for special occasions! 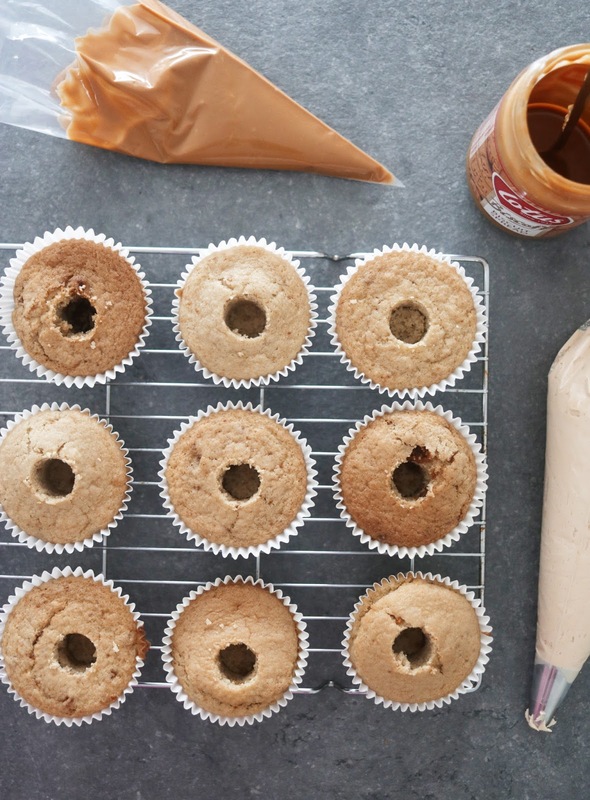 Step 1- Preheat your oven to 180 degrees c and line a cupcake tin with cupcake cases and add half a Biscoff cookie to the bottom of each cupcake case. Step 6- Fold in the crushed cookies. Step 7- Fill the cases 3/4 full with the batter. 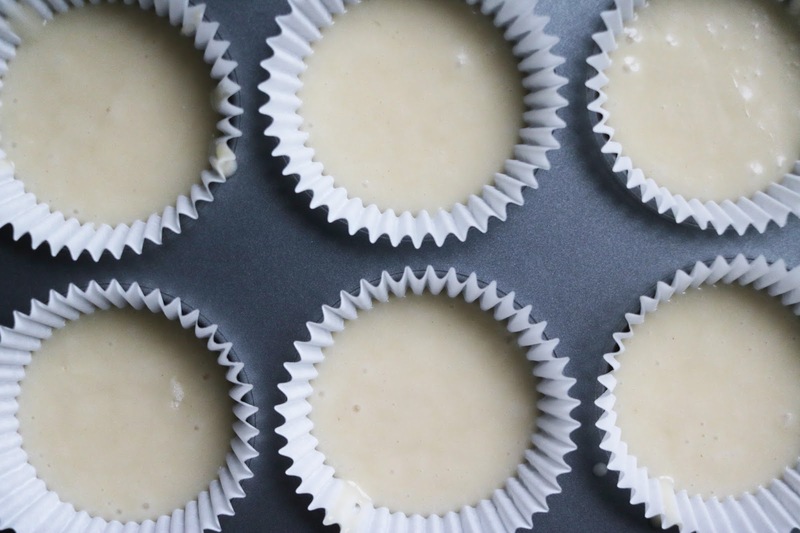 Step 9- Place the cupcakes on a cooling rack and allow to cool fully before frosting. Step 2- When your butter/margarine is creamy & light in colour, add in the icing sugar and Biscoff spread. Step 3- Transfer the buttercream into a piping bag fitted with an open star tip nozzle. I use a Wilton 2D piping tip. Step 4- Core the cupcakes and fill with some melted Biscoff spread (optional). To make it easier, I added the melted Biscoff to a piping bag. Step 5- Pipe a swirl of buttercream onto each cupcake. Top off with a drizzle of Biscoff spread, cookies and crumbled cookies. 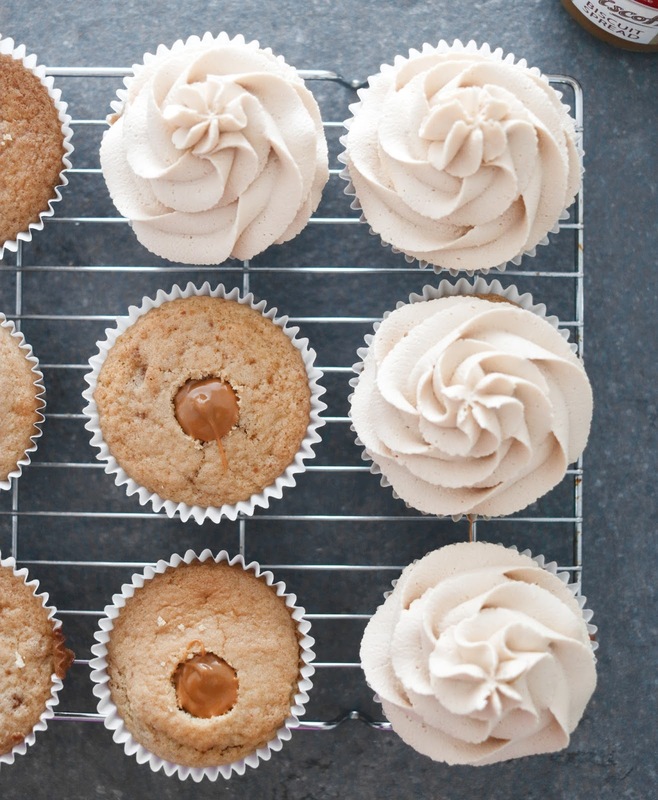 Serve these cupcakes fresh or store in a sealed container in or out of the fridge, the buttercream will firm up at room temperature. Has anyone converted the mesasurements for this recipe to cups instead of grams? 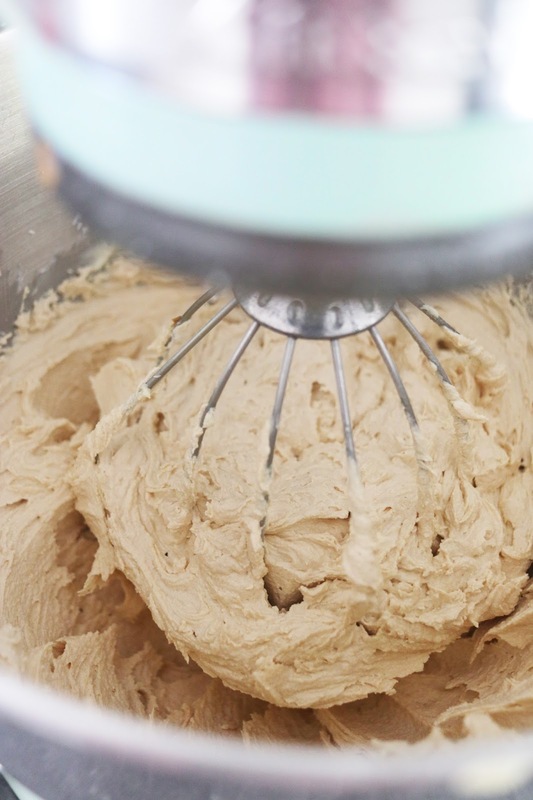 I don't have an electric whisk or hand mixer :( anyone know how i could cream the frosting without one? Hello, You can use a non-electric hand whisk! 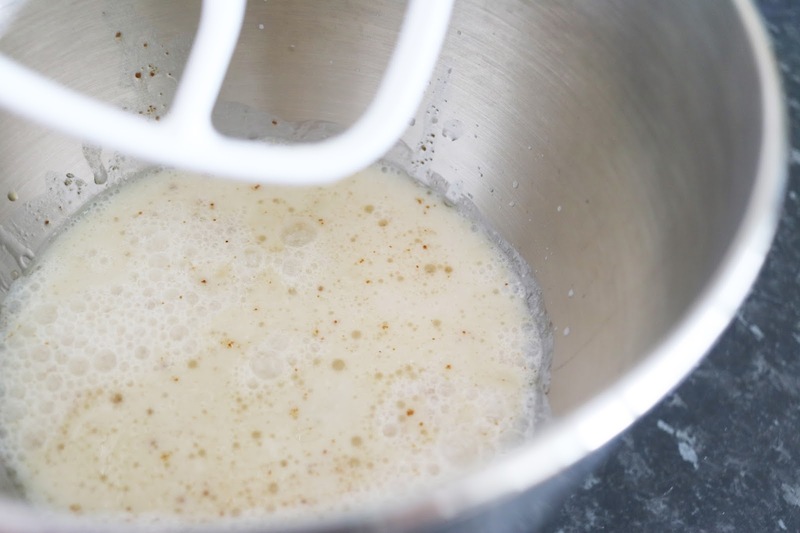 I would advise a electric whisk as it creams up the butter so its ultra smooth and whippy! These turned out fab, best vegan cakes Iv'e actually made taste and texture wise. I ended up with way too much buttercream icing though so I halved the recipe and made 5 more. It may have been because my piping nozzle was a lot smaller so i used less on the topping.